Below are the comic strip templates on this page. The templates on this page have a split upper row and various layouts in the next two rows. Be sure to look at the other pages of templates, there are 3 pages in all. 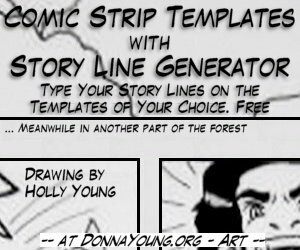 Printing - If the generated comic strips do not print well from your browser, please visit the How To Use Generator page. Print on paper that can handle the *medium that you child likes to use. Enter the story lines below. Any field may be ignored. Fields accept 150 letters and spaces each although 150 will be too many characters in most cases. The maximum amount of characters of normal text is around 98. The extra characters that I am allowing is there in case you need to use a lot of spaces. Comic 222 has 6 panels - 2 panels in each row for the drawings. Comic 313 has 3 panels in the top row, 1 wide panel in the middle row, and 3 panels in the bottom for the drawings. Comic 323 has 3 panels in the top row, 2 panels in the middle row, and 3 panels in the bottom row for the drawings. 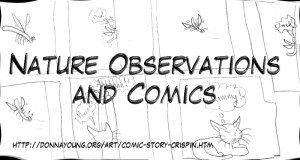 Comic 333 has 9 panels - 3 panels in each of the 3 rows for the drawings. Comic 321 has 3 panels in the top row, 2 panels in the middle row, and 1 wide panel in the bottom row for the drawings.